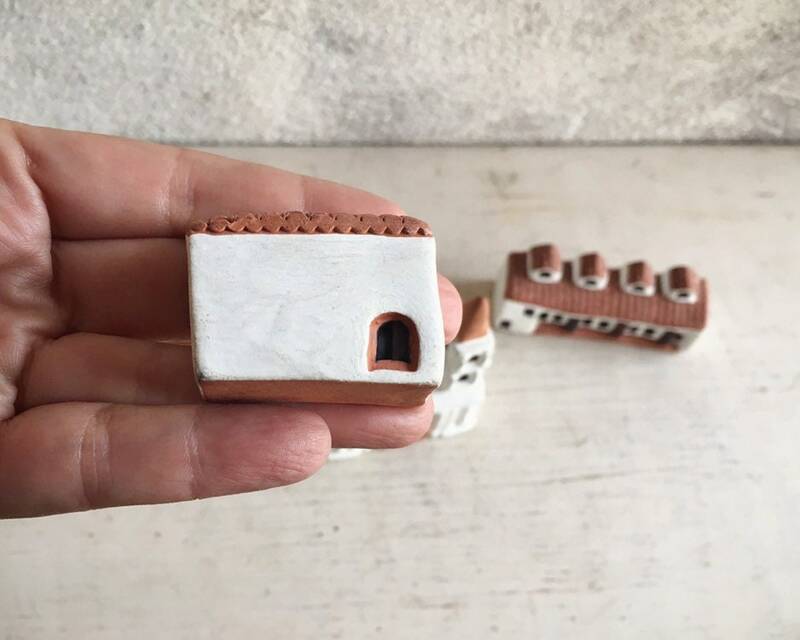 This miniature village is made of clay pottery and was purchased in the 1960s. 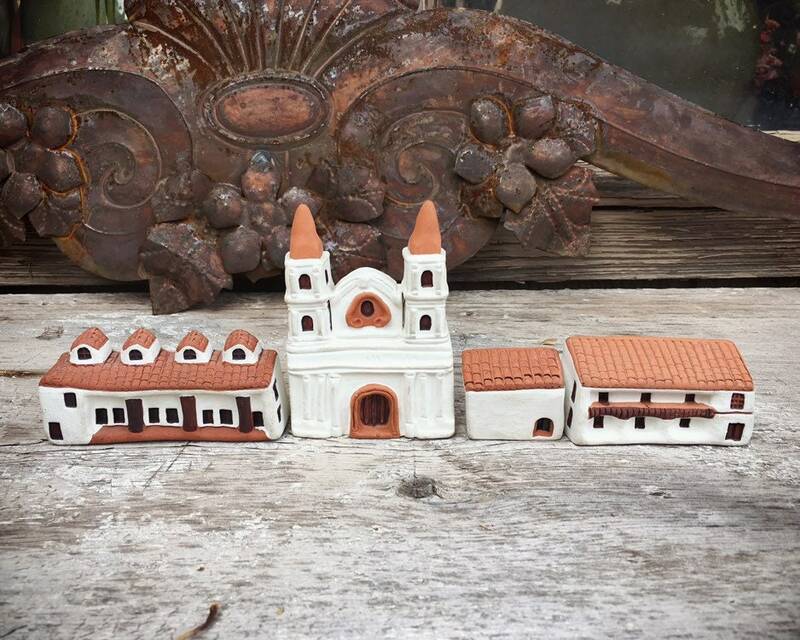 There are four pieces altogether, with a Spanish Colonial style church with bell towers, and one story buildings that go on either side. 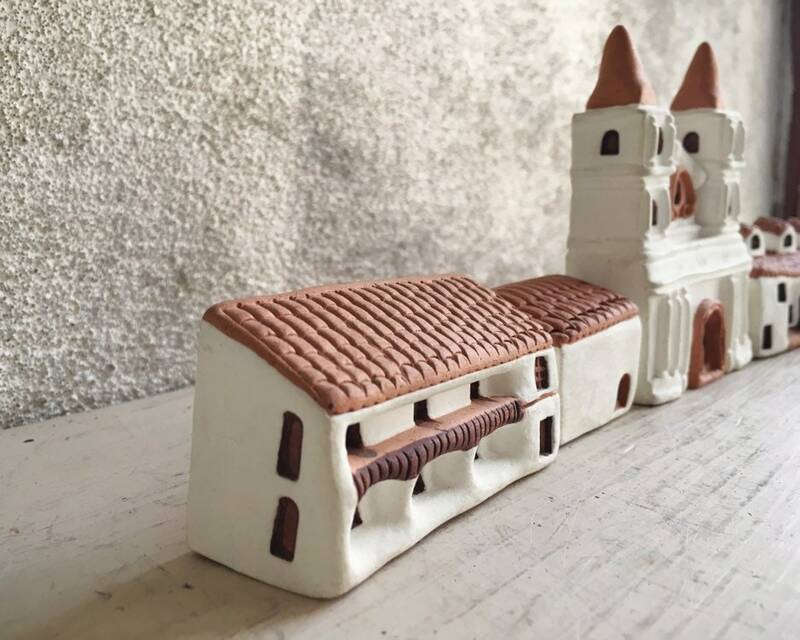 The pieces are reminiscent of so many places one might see, such as a Spanish Colonial plaza in California, Arizona, New Mexico, or Texas. Not to mention, of course, the many towns in Mexico and Spain. 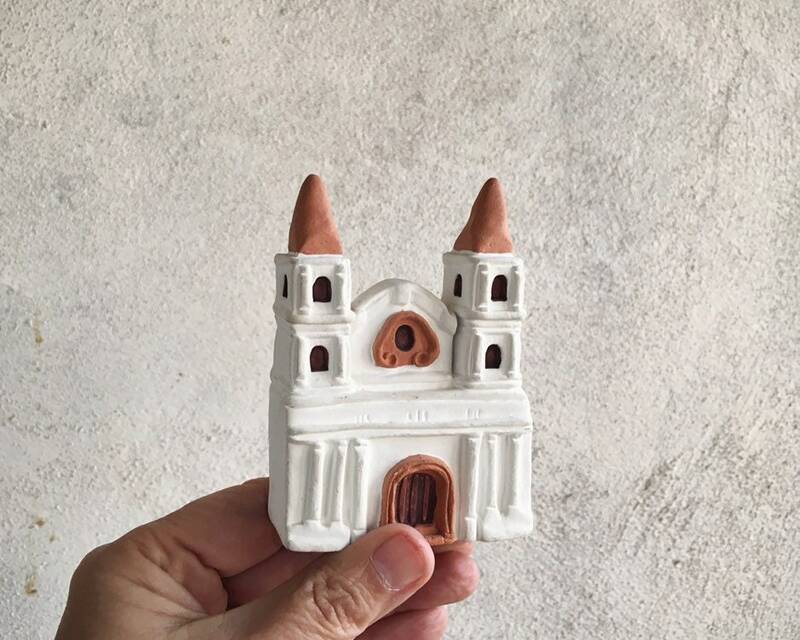 Each little piece has such a great feel in the hand, small yet of substance. Signed on the back by the artist. 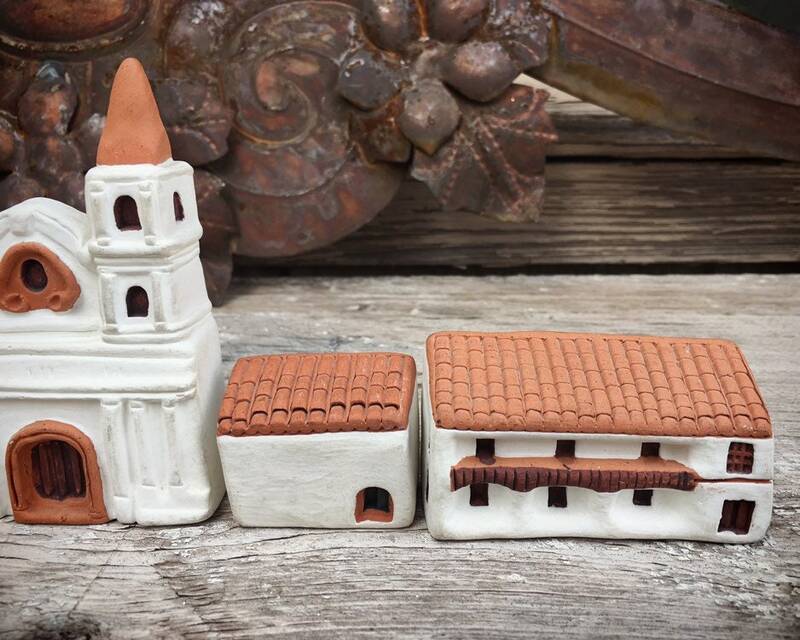 Perfect gift for the person who loves Mexican travel, or the Southwest, or just miniature sweetness that can be set upon a shelf and admired. 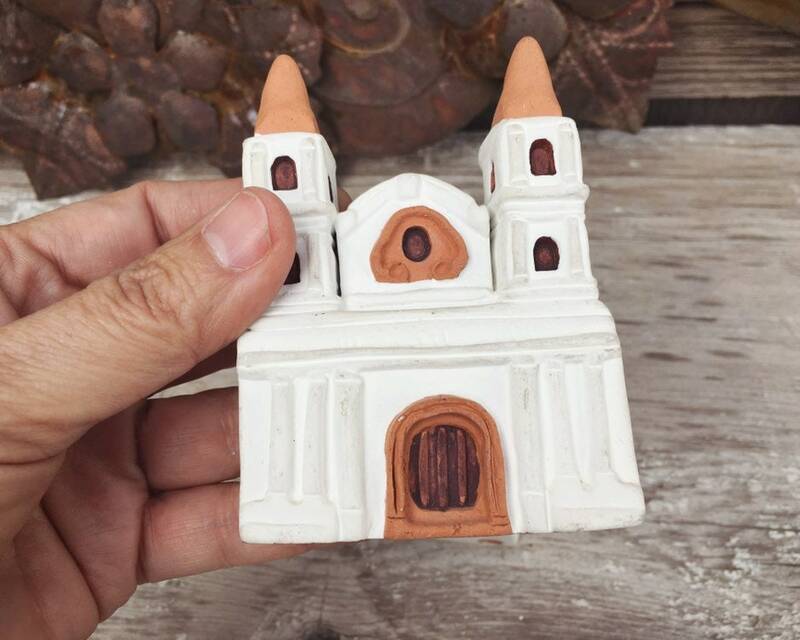 The church is 2-5/8" wide by 3-3/4" tall and about 1" thick. The other buildings are about half the height. 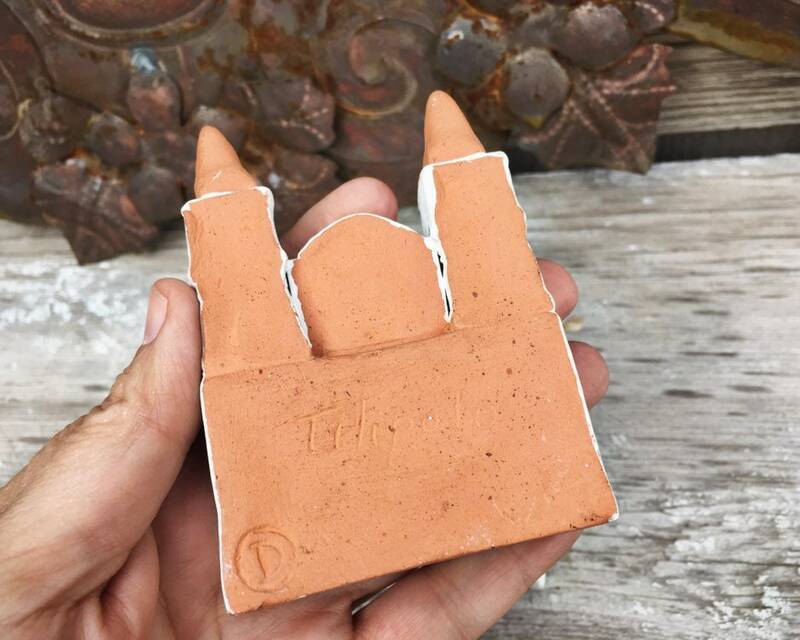 Although small, the set does have some weight and comes it at about one pound altogether, unpacked. 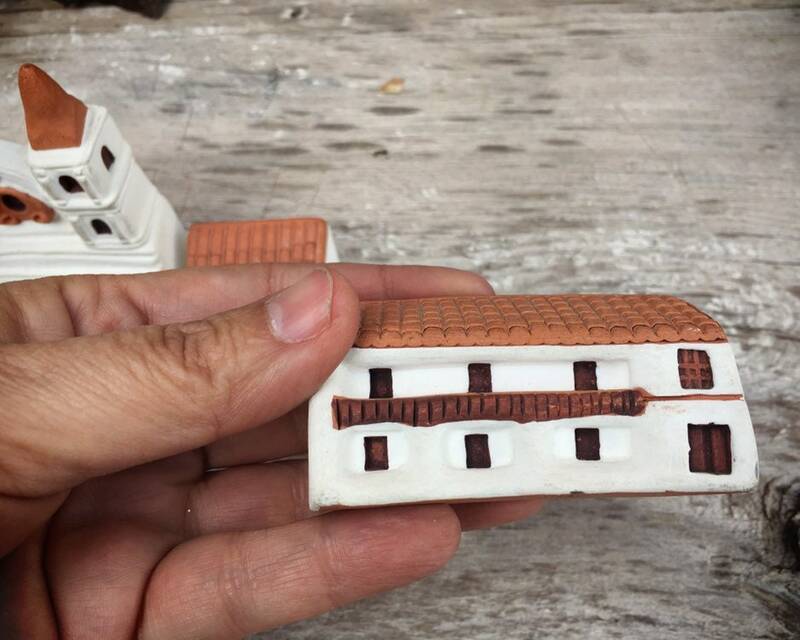 A bit of discoloration from age but otherwise in good condition with no chips or cracks. 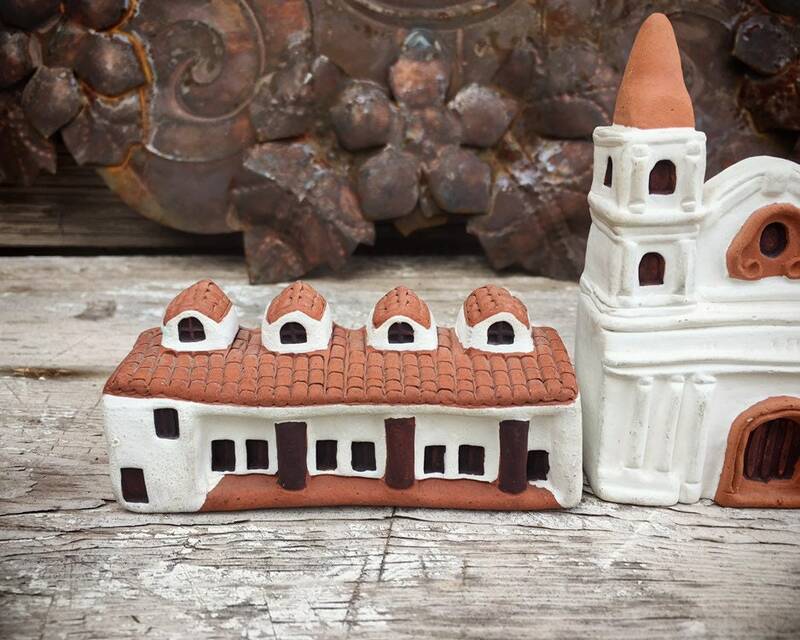 An unusual pottery folk art scene. 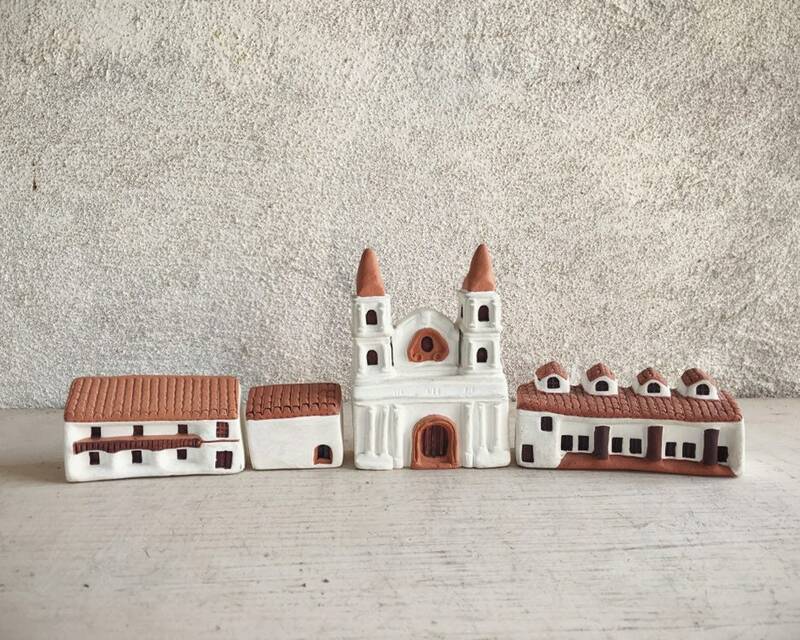 Very charming set, in great condition and prompt delivery. Thank you!